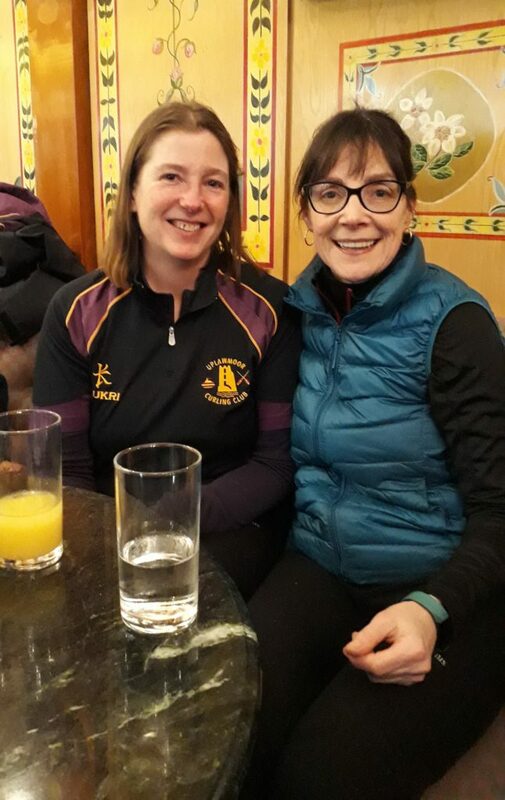 The ICA website was unmanned midweek as both administrator Christine Furey and reporter Louise Kerr were playing against each other at the Henderson Bishop finals at Stranraer Ice Rink. Christine was playing for Greenacres while Louise was representing Stranraer. A third ICA member, Nina Clancy, was also at the finals, with the team from Kirkcaldy. The Henderson Bishop for the high road was won by Murrayfield 2 while Stranraer won the Cherrystone Trophy for the low road. See Scottish Curling website for further details and scores. 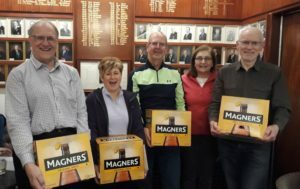 At the close of another very successful Irish Curling Association International Weekend competition at Stranraer Ice Rink, sponsored by Magners Cider, the winners were a team with a very international flavour! 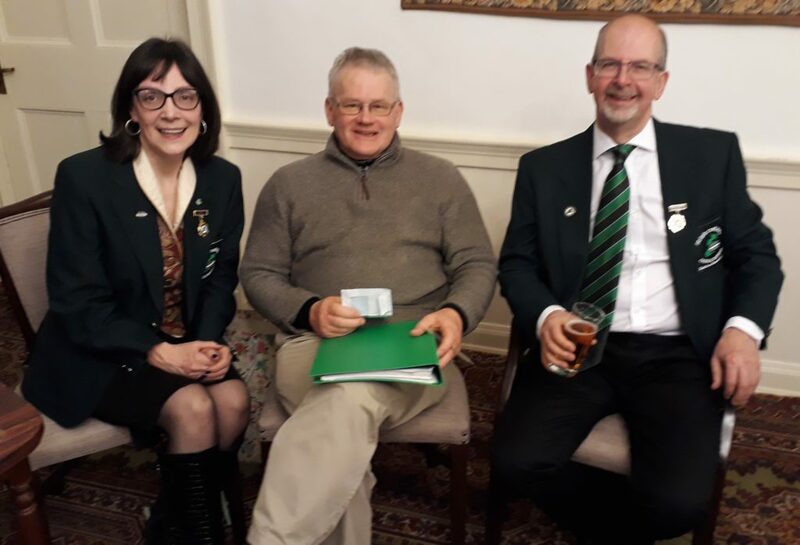 The Granite Trophy went to Scottish-born English Curling Association stalwart John Brown along with new Irish Curling Association member, Irish-born Bernie Gillet, who lives in Ontario, Canada, plus John’s Scottish old school friend Robert Jamieson (Hutchesons circa 1960’s) and Robert’s English wife Helen! 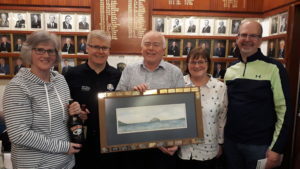 The runners-up in the High Road, receiving the Ailsa Craig painting, were Jim Cullen , Liz Cullen, Graeme Cowe and Lesley Cowe. 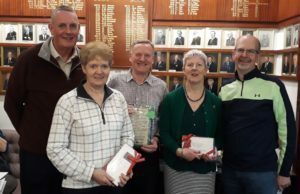 The winners of the Low Road, winning the Irish Oak Trophy were Bill Gray, Nina Clancy, Walter Scott and Alison Scott. 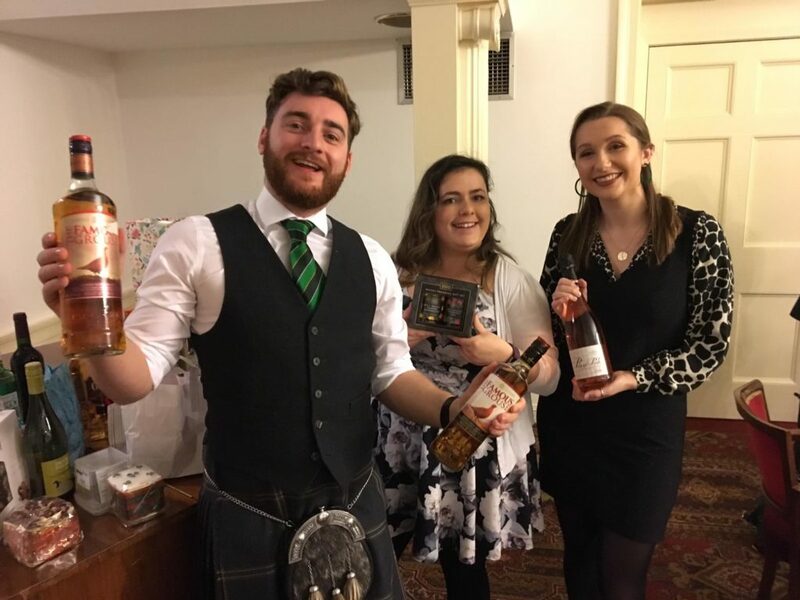 The runners-up in the Low Road, winning the Basil Gray Memorial Trophy, were Duncan Johnston, Janie Clemie, Sean Clemie and Harriet Johnston. 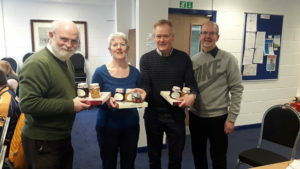 The consolation prizes went to Ian Donald, Isobel Nisbet, Alan Nisbet and Frances Donald. 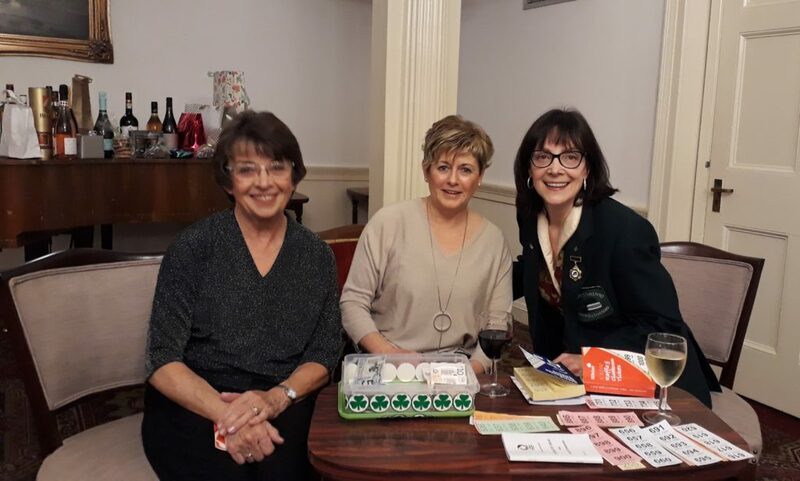 Thanks to all the competitors who took part in the weekend competition and especially to everyone who bought raffle tickets at Saturday evening’s cocktail party raising £275 for ICA funds. Finally, a huge thanks to Magners for sponsorship of this popular event. The winners and the runners-up have been invited back to the North West Castle for the close of season Dalrymple Cup. 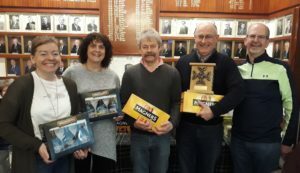 Magners have generously provided sponsorship for the Irish Curling Association International Weekend at Stranraer Ice Rink this coming Saturday and Sunday. 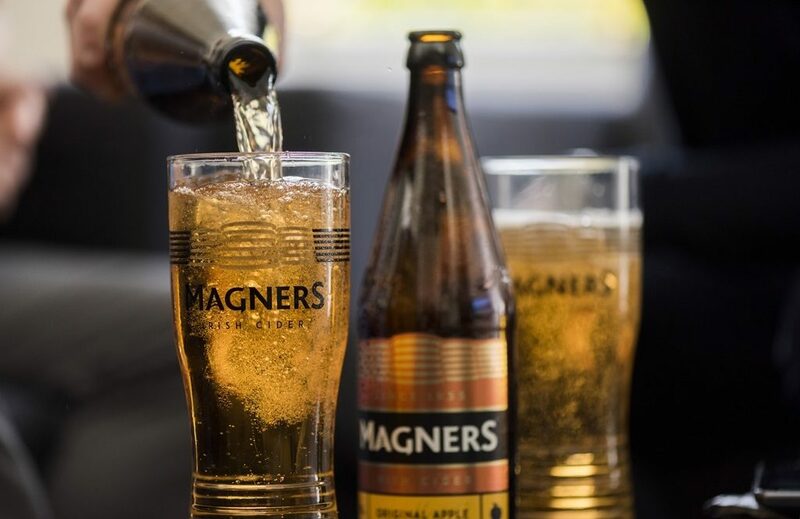 As well as providing four cases of cider for the lucky winning team, Magners drinks will also be offered as a refreshment for guests at the ICA cocktail party on the Saturday evening in the North West Castle Hotel. Please remember there will be a raffle at the party to raise funds for the ICA and raffle prizes are very welcome. The ICA is very grateful to Magners for the sponsorship and we look forward to a long and fruitful partnership.